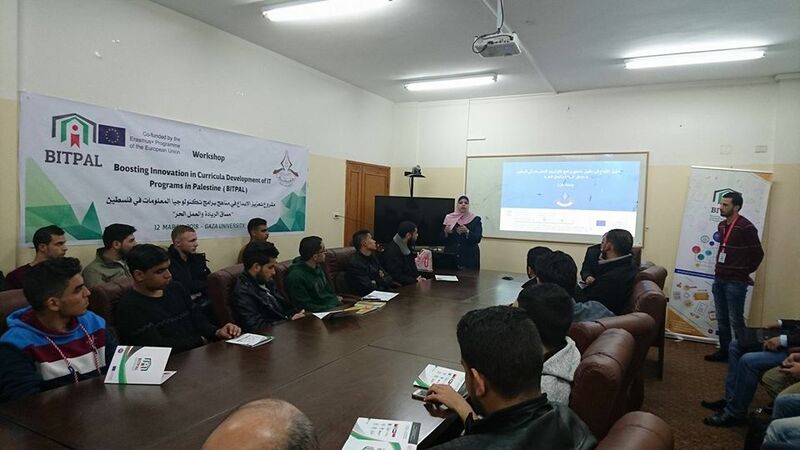 On 12 March 2018, the BITPAL partner, Gaza University (GU) organized a workshop to introduce the project to their students. Dr. Kholoud Elbasth, Dean of Computer Science and Information Technology Faculty, talked about the project objectives, strategy, and the main work packages. She focused on the “entrepreneurship and freelancing course” one of the important outputs of BITPAL, where the Palestinian partner universities and the Palestinian incubators in Gaza Strip have signed MoU to teach the course in the incubators with new methodology helping students to develop new startup creative ideas. جميع الحقوق محفوظة © 2019.